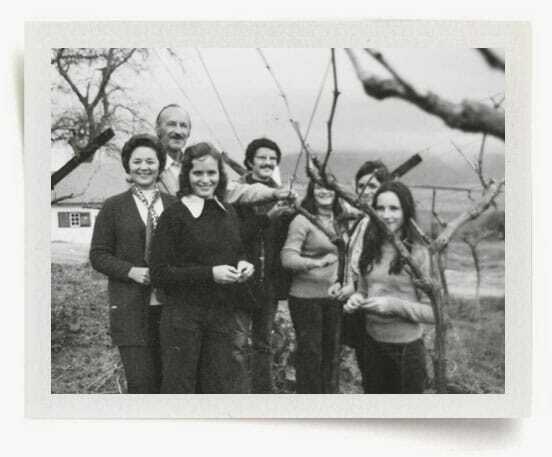 The metered strides of the first Van Velden winemaker laid out a legacy of family, heart and a respect for the land – a heritage trodden deep into the DNA of people and place, to be cemented and enriched by each generation that followed. 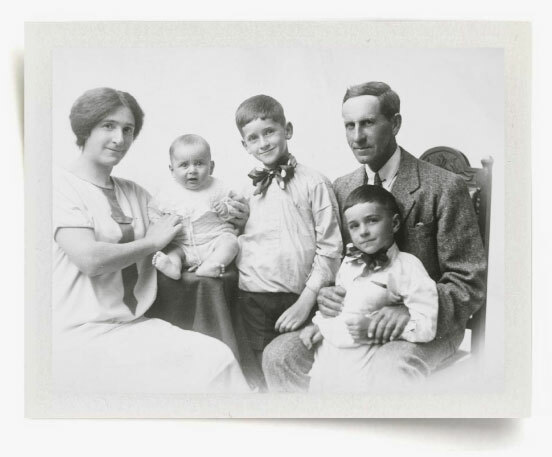 It was almost a century before the founding of Overgaauw farm that the very first Van Velden, Pastor Dirk, left the Netherlands with his wife Elizabeth Overgaauw, to make their home in KwaZulu-Natal, South Africa. Their son trekked down to Stellenboch and married the daughter of a local farmer, whom he subsequently swept back to KwaZulu-Natal. As fate would have it, the couple met a premature death, leaving an orphaned one-year-old son – Abraham Julius – to return to the farm of his maternal grandparents. In 1905 the original farm, By-den-Weg, was subdivided into three properties – one of which was given to Abraham Julius van Velden. Today it’s known as Overgaauw Wine Estate. It is only fitting that the first Van Velden winemaker, the father of winemaking generations, should share the name of another great patriarch in history (Abraham Perold, the ‘father of Pinotage’). Abraham founded the 90ha farm in 1905 and named it after his maternal grandmother, Elizabeth Overgaauw. 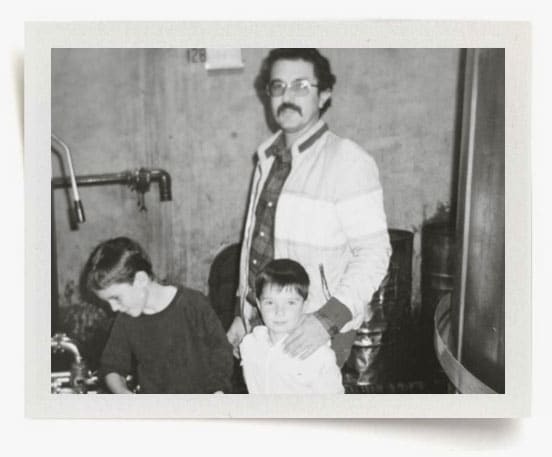 He built his wine cellar four years later, literally laying the foundation for the generations to follow, and shifting the farm’s focus to all things vinous. So commenced Overgaauw’s production of wine – initially only for bulk sale. 1945 marked a new era, with Abraham’s son David (Senior) taking over management of the farm, and introducing Port varietals to the blessed terroir. He planted five different cultivars – Tinta Barocca, Tinta Francisca, Cornifesto, Souzão and Tinta Roriz – and in accordance with traditional Portuguese methods, he harvested and crushed the grapes together. This was an industry first in South Africa. 1963 saw another innovation with the introduction of Sylvaner to the South African landscape. To this day, the Van Veldens are the only local producers of this German varietal. David then decided to bottle his wine under the Overgaauw label – a decision that inspired a journey to France in 1969. Accompanied by Frans Malan of Simonsig, he visited Châteaux Lafite and Mouton Rothschild. The travellers’ exposure to the classic, French techniques of winemaking brought about a significant change to the South African winemaking industry: Encouraged to pioneer the ageing of red wine in small oak barrels, they acquired their first barriques from Château Latour and changed forever the quality of red wine production in South Africa. With the inception of the Wine and Spirit Board in 1973, Overgaauw became one of the first farms to register as an “Estate”, an event that bestowed the appellation of “Estate Wine” on the label of every bottled wine made from the farm’s grapes. Among the first to mature Cabernet Sauvignon in French barriques. First in South Africa to produce Cinsaut. The only producer of the Sylvaner – a refreshing and medium-bodied, aromatic and spicy German varietal. First South African wine estate to plant Portuguese Port cultivars. Founder member of Stellenbosch Wine Route (now covering over 120 cellars, the route started with just 8 wineries). In 1973, the baton was passed to the third generation of Van Veldens – David Snr’s only son, Braam. A graduate from Stellenbosch University with a BCom degree, Braam spent a year at the Geisenheim Institute of Wine in Germany where he studied viticulture. Together with viniculture, this became his passion. Following the Van Velden way of intensive, hard work; Braam engaged in an exhaustive mapping of the farm’s soils in the late 1970s, to determine the best-matched varietals to terroir. At the start of Braam’s tenure, 90% of the farm was planted to white varietals. Today, almost 60% of vineyards are planted to reds. 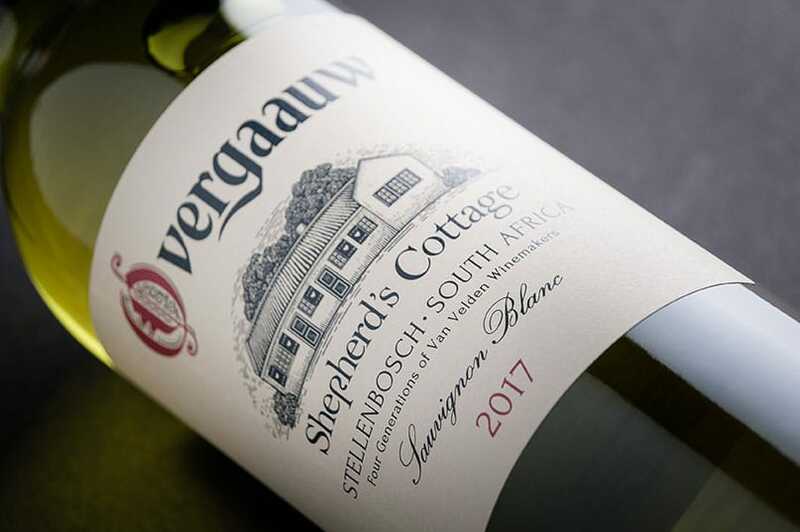 With these new vine establishments came the opportunity to plant different clones – which contribute to the complexity found in the Overgaauw wines. 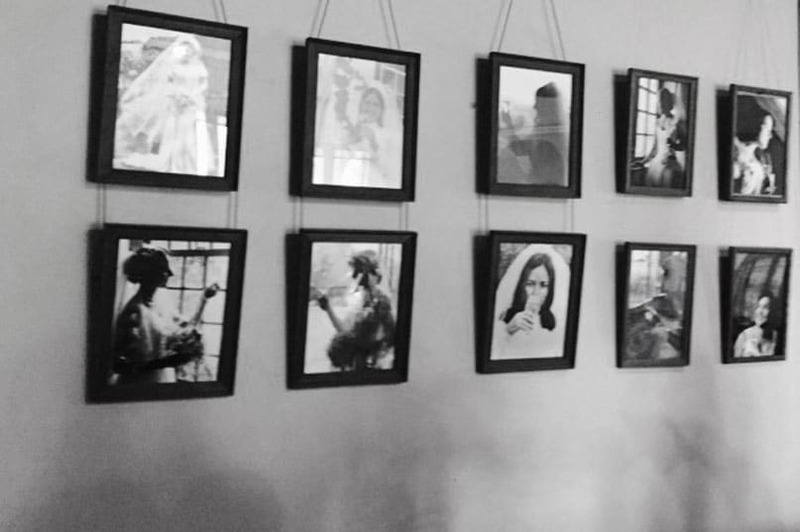 In true pioneering fashion, Braam achieved a number of industry firsts. He produced the acclaimed Tria Corda, South Africa’s first Bordeaux blend and bottled the country’s first single-varietal Merlot – at a time when this now-popular wine was regarded as suitable only for blending. He was also among the first local producers to plant Chardonnay. Braam had great trouble keeping his young son, David, out of the cellar and out of harm’s way. 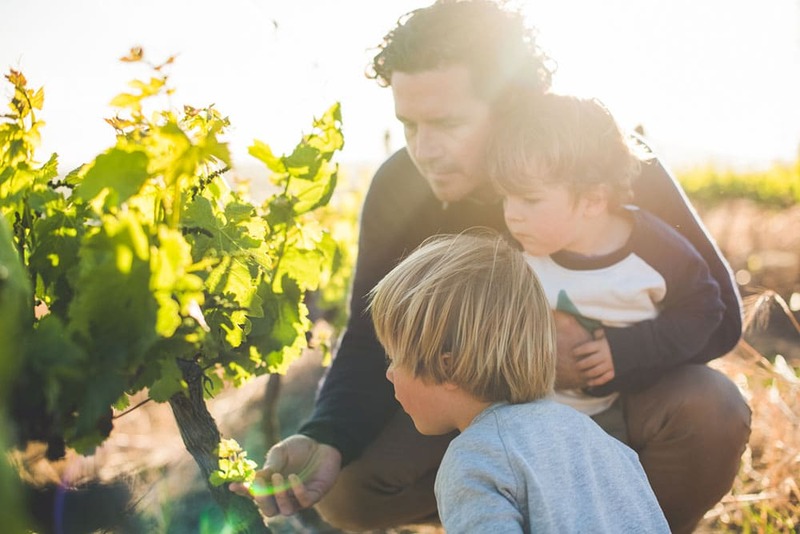 When David turned five, Braam gave up and accepted him as his constant shadow and junior cellar hand, offering him his first wine tasting at age six. 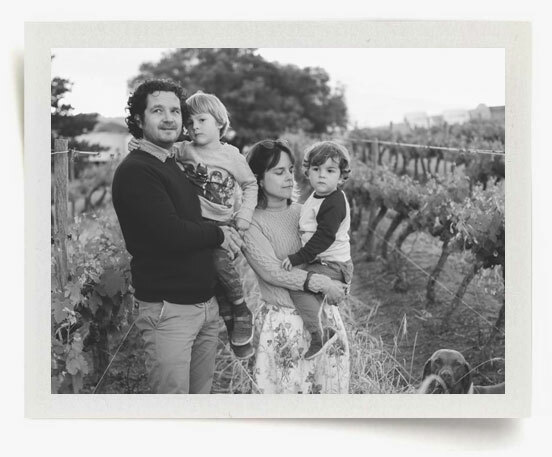 A fourth-generation Van Velden winemaker was inevitable. First Bordeaux blend in South Africa, Tria Corda. First South African estate to bottle a single-varietal Merlot. Founder member of the Cape Wine Makers Guild. David grew up on Overgaauw. When he took his first steps, they were in the direction of the cellar where his father Braam had great trouble keeping young David out of the cellar and out of harm’s way. When David turned five, Braam gave up and had to be content with David as his constant shadow. Needless to say, he experienced his first wine tastings rather early on. After matriculating at Paul Roos in Stellenbosch, David obtained a Commerce degree at the University of Stellenbosch. He shifted his focus to viticulture and winemaking. In 2003, David joined Overgaauw as assistant winemaker. Four years later he became the fourth-generation Van Velden winemaker at Overgaauw. His philosophy in winemaking starts with meticulous vineyard management; applying practices to maintain the natural balance in the soil and assisting the vines to produce the best fruit the site and vintage has to offer. In the cellar, the focus is on retaining the various cultivars’ unique ‘Overgaauw’ identity, with minimal cellar manipulation and the judicious use of wood. He is resolutely proud to be continuing a line of winemaking pioneers – the sense of respect for the land and legacy deeply ingrained in his DNA. This heritage of 110 years of Van Velden wine-making has stood David in good stead as he puts his stamp on the Overgaauw Wines.